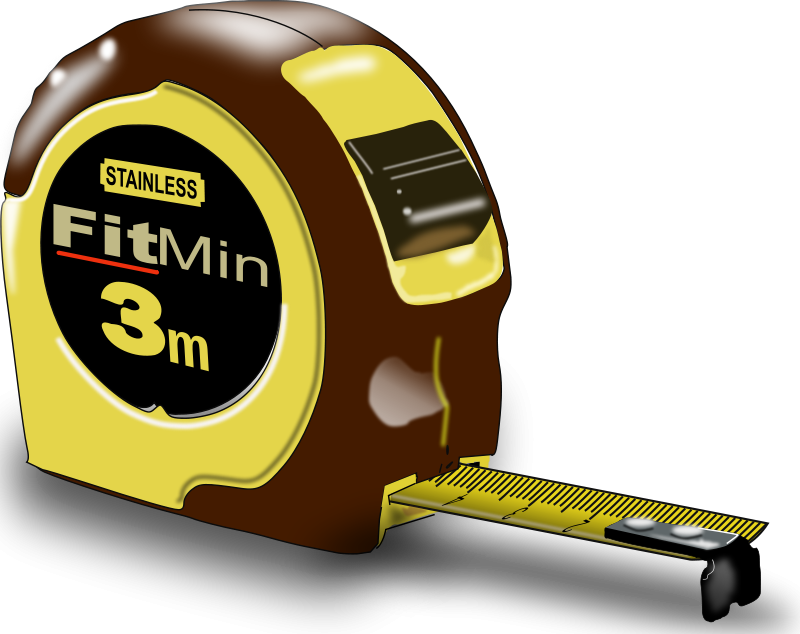 You can’t manage what you can’t measure is a basic business principle. Same holds true for LinkedIn. There is no guaranteed access, or entitlement, to success on LinkedIn. Please don’t expect anyone to plop a pot of gold into your lap just because you filled in a few blanks on your profile. As I say in my seminars and presentations, someone has to do the dirty work. And how do you measure results? That depends on your goals, of course. One way to track success is to watch the number of your connections grow. Go to your “Home” page, scroll down the right sidebar and keep track of your network statistics (see image below). I tell my clients to set up an Excel spreadsheet and regularly (once a week) check the number of first level connections, how many new people have been added to your network as well as the total size of your LinkedIn network. Are the numbers increasing? Or are they shrinking? Another metric worth watching is your activity within a target group. 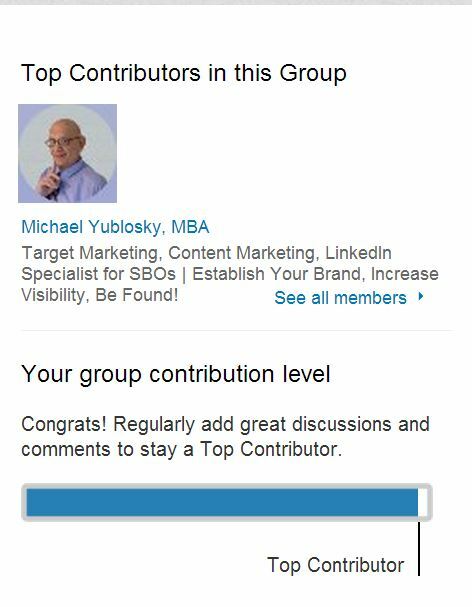 You will get the ‘Top Contributor’ ranking which would increase you visibility within the group members. Of course to earn that away you need to be adding discussions and comments. 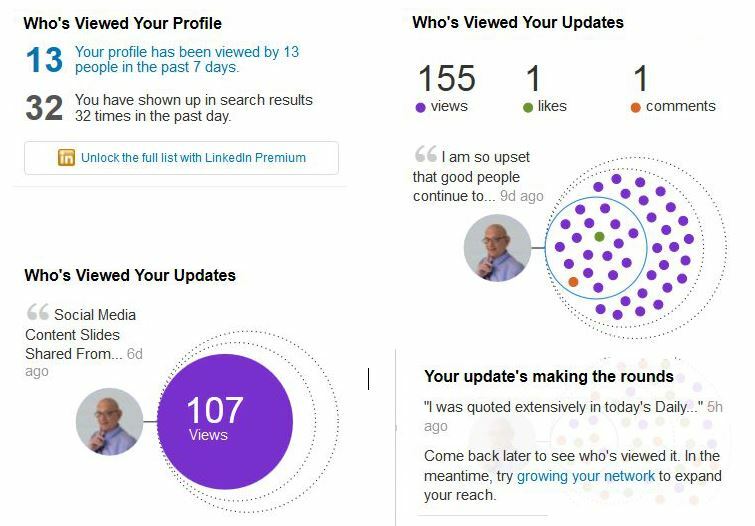 These are the present indicators provided by LinkedIn and you should monitor them to track your results.